As Valentine’s Day approaches we often focus on romantic relationships, but it is also important to celebrate our friendships. I often talk with people about the challenges of making new friends as an adult. It seems easier as children, when we’re less self-conscious and have more time to spend with friends. If you feel nervous about reaching out to a possible new friend, consider if the risk seems worth it. It would be disappointing to be ignored, but probably not the end of the world. On the other hand, you could end up making a good friend. The other person might also be feeling nervous, and be grateful that you reached out. Also remember that the more you practice the easier it gets to meet new people. It may be helpful to look for a group around a shared interest. For example, you could attend a book club at the library or join a craft night at a local store. Attending a group can make it easier to find something to talk about. Also, be open to having a variety of friends with whom you share different interests. One person may become the friend you go to the gym with, while someone else may be the person you go to the movies with. It’s also important to make time to focus on friendships. Trying to coordinate schedules can be difficult, but maintaining friendships has been shown to be beneficial for our well-being. 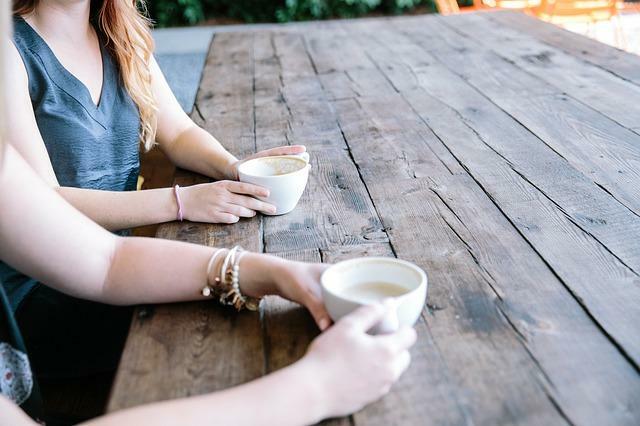 Schedule another time to get together before you leave – as one of my friends pointed out, we schedule dentist appointments in advance, so why not coffee dates?